Cash on Delivery (COD) is a payment gateway that required no payment be made online. Orders using Cash on Delivery are set to Processing until payment is made upon delivery of the order by you or your shipping method. You, as the store owner, need to confirm payment was collected before marking orders Complete in WooCommerce. 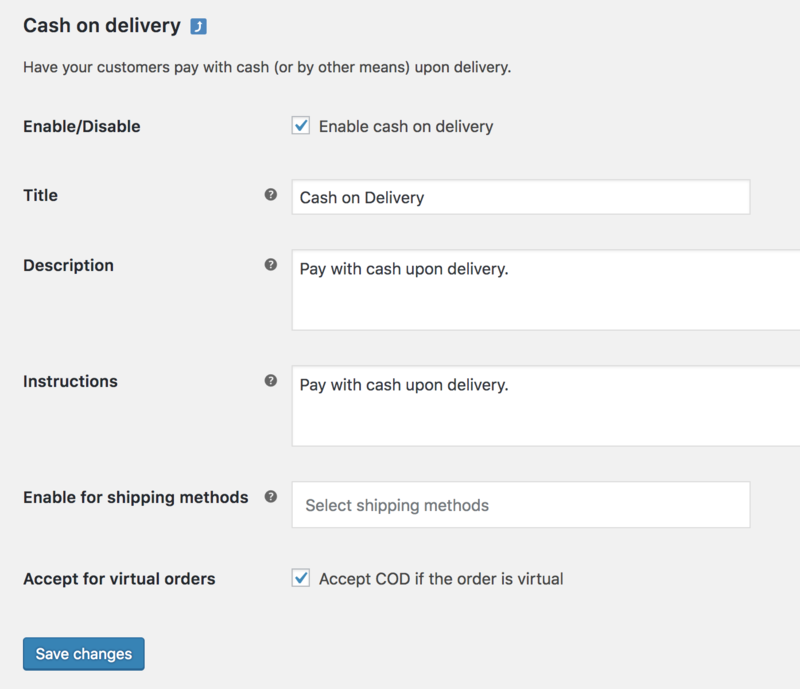 Use the toggle under Enabled to select Cash on Delivery. Select Set Up. You are taken to the Cash on Delivery settings.